A decade ago it was unthinkable that any athlete participating in professional sports would come out to its fans or fellow players. The very first openly gay basketball player was Jason Collins who came out publicly in 2013. 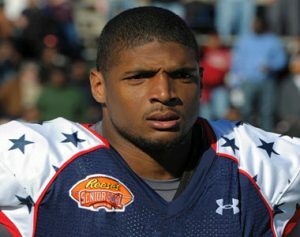 After veteran Collins made his status public in spin, Michael Sam, a player for the University of Missouri, told his team he was gay in August 2013. Sam became the first gay player in the history of the Canadian Football League. In Major League, NFL and NHL there still is no openly gay players, although two publicly gay players are part of the minor leagues since 2015. The first was Sean Conroy who came out publicly in June 2015. The right-handed Sonoma Stompers pitcher did what no other active baseball player did before. Due to his bravery, it took only seven weeks for Brewers, David Denson to become the second player to announce his sexuality publicly on the 15th of August. Denson was the first player affiliated with a major league, which basically invited unavoidable scrutiny. On the contrary, both Denson and Conroy enjoyed full-throated support from the media, their employers and teammates. Denson remains touched by the reaction of this teammates especially since none of his fellow players had any negative response. It was the reaction of both his teammates and family that concerned him at first; he shared in an interview. But thankfully when he came out, he only had support. Conroy enjoyed the same positivity even though he expected serious negativity. In the same year around September, a signed lineup card from the game Conroy played was added to the Hall of Fame from the first game he played as an openly gay player. For some players, it is scarier than for other and even with the positive feedback others enjoy it is both complex and difficult to go public. In over 150 years no professional baseball players announced their homosexuality in public. In just two months two players took the brave step and enjoyed universally positivity, which could encourage others to do the same. Many expected that a whole lot of other players would follow in the footsteps of Conroy and Denson. No players did, which is surprising since over 8,000 men play in minor leagues every year. More than 2,000 in independent leagues. In the end, what players do in their own time is their private business, fans car about their spor teams performances and teammates depend on every members sporting ability, whether they are straight or gay. Scott Thompson throws out the first pitch in Toronto, June ’05. Cubs fans in July ’05. Photo by Jason Smith/Chicago Free Press. For info, reviews and links, see Take Me Out page. Rainbow Hoops Night was a big success, with over $500.00 raised for Rainbow Hoops, Toronto’s lesbian-positive women’s recreational basketball league. LGBT Raptor fans were treated to a 110-88 victory over the Indiana Pacers on Friday February 23, 2007. Comments from attendees from the March 1/07 edition of xtra!